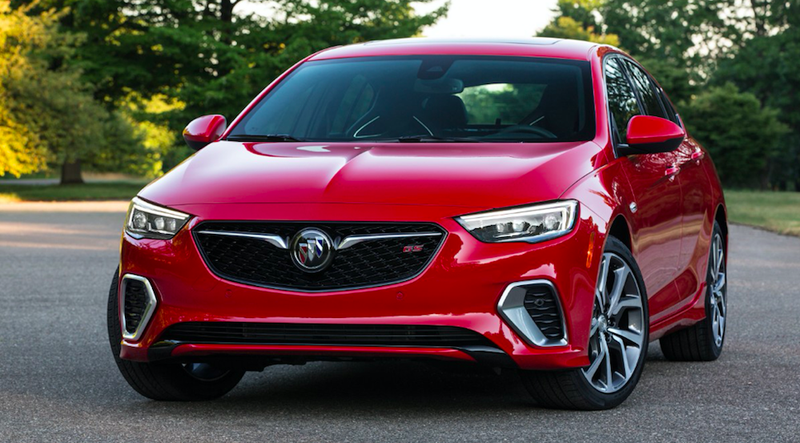 I think it’s safe to say that the modern Buicks don’t typically elicit a lot of excitement from your average enthusiast, but that might be about to change.. With the introduction of the all-new Regal Sportback and wagon, Buick is hoping to shed its AARP image and get some younger folks behind the wheel. The last generation Regal was supposed to offer a more “European” driving experience than the rest of the Buick lineup and give GM an upscale car that could run with a BMW 3-series. That plan didn’t quite work out. What does work, however is the new Regal platform, which not only offers some style and performance but a serious value proposition as well. Buick’s configurators for the Sportback and Tourx wagon recently launched and cars should be arriving at your local showroom within the next month or so. If you want your Regal Sportback with all-wheel drive you have to step up to to the Essence trim. That gets you leather seats, 18” inch wheels, and an 8-inch display among other upgrades for $35,650 before additional options. The Audi A5 Sportback also equipped with a 2.0-liter turbo and AWD starts at around $43,500 before you start checking option boxes. The next step up is the Grand Sport, which comes standard with AWD and a 310 hp 3.6 liter V6 along with Brembo brakes, 19” inch wheels, and a slew of other upgrades stickers at just under $40,000 before you add any additional packages. The all-new Kia Stinger GT with the 3.3-liter motor and AWD starts at $42,000. Of course, if you are looking for more room and a sleek, long roofline to boot, the Tourx wagon will be more your speed. The Tourx is equipped with the same 250 hp motor and standard AWD and has a starting price of about $30,000 which makes it competitive with mainstream wagons like the VW Alltrack and Subaru Outback. A fully loaded Buick longroof with practically every option box checked comes in just under $42,000. That’s pretty cheap compared to the BMW 330i xDrive Sports Wagon that starts at $44,450 before any additional options. If folks can get past the fact that the badge on the hood might be the same as the one on their grandparents’ ride, Buick could have a serious hit on their hands with the new Regal family.